The East Quad will accommodate the majority of academic activities and facilities required for the College of Arts & Tourism which currently consists of six schools, four of which will be accommodated within the East Quad building. 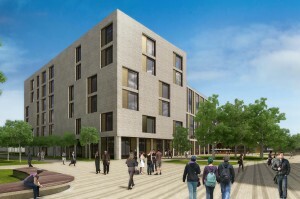 The gross internal floor area for the East Quad is anticipated to be approximately 16,000m2. 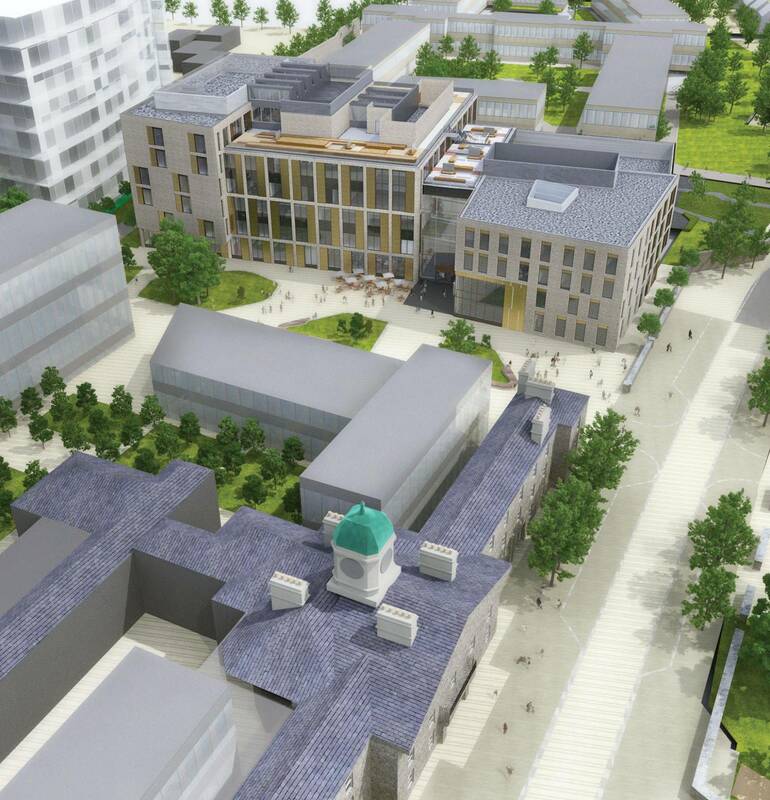 The four schools to be located within the East Quad are as follows; Art, Design and Printing, Conservatory of Music and Drama, Media, and the School of Languages, Social Sciences and Law. Media Studios: including audio/sound recording studios, newsrooms, editing suites and professional recording facilities. The proposed location of the East Quad building(s) adjacent to Grangegorman Lower will facilitate access by the local community and general public to performances either within the College of Creative & Cultural Industries or outdoors in the adjacent external performance area. Throughout the construction of the East Quad this section will be updated regularly to give a three week look ahead on the construction programme. If there are any unusual or out of hours events to take place notification will be given to the appropriate people through various media including letter drop, email and social media alerts. There will be Saturday activity from 7am – 2pm as per the hours permitted in the planning permission. As part of the construction works for the Central and East Quads at Grangegorman, environmental monitoring will carried out to assess the dust, noise and vibrations arising from the works. They will be published as they become available on this page. The reports are listed below. For day time queries in relation to the Central and East Quad development please contact 087 1788749. 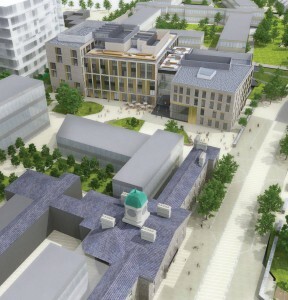 For out of hours queries in relation to the Central and East Quad development please contact 087 3492487.